Full details of the 2014-onwards Iveco Daily panel van’s dimensions, including the exterior and the load area, and covering the 2019 update. Applicable to the 2016-onwards Daily Euro 6 (E6) range and the 2017-onwards Daily Blue Power RDE models as well. To read the full review of this model, click here or on the tab above. Need a van with a lot of load space or a gross vehicle weight (GVW) to match a light truck? Then the Iveco Daily could well be for you, it offers more of both than any other large van on sale. Thanks to its truck-like separate chassis, the Daily offers not only a massive amount of load capability but exceptionally high 7.2-tonne GVW options, far higher than any rival. We’ll deal with the latter in the Payload section below, so let’s get cracking on this large – and we do mean LARGE – van’s dimensions. We’ve added some detail about the Iveco Daily chassis cab too, though for the most part we are concentrating on the van. The Iveco Daily van offers three wheelbase options, five bodylengths and three roof heights. 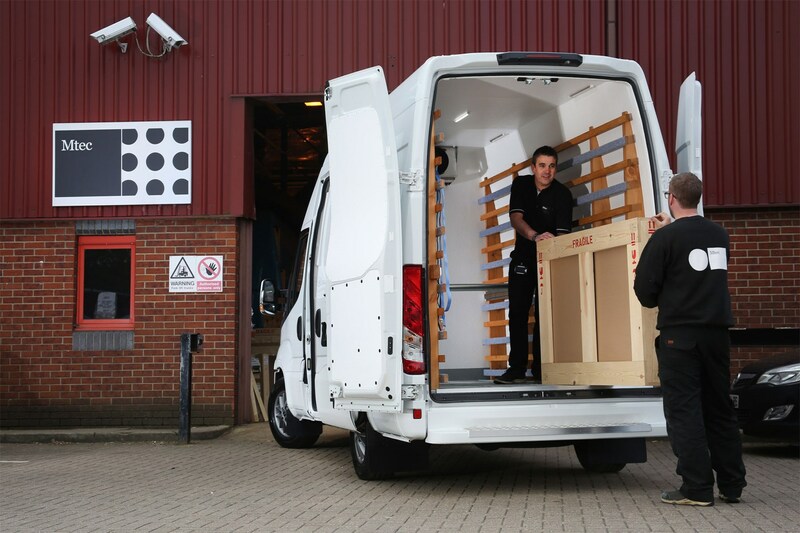 Take the Daily to the max, and as much as 19.6 cubic metres of load volume is available, more than any other standard panel van on the market. The exterior dimensions of the various combinations available are outlined in the table below; note that the H values refer to the three available body heights. The total exterior lengths include a rear step, which can be deleted to save around 11mm. Also note the exterior width is without the door mirrors, as that's all Iveco provides. The 2019 onwards model with the three-piece front bumper are also marginally longer than before; we're still waiting on Iveco to confirm the exact dimensions, but it is only a matter of a few millimetres. The chassis cab variant has the same basic width, but offers a further three wheelbase options (4,350mm, 4,750mm and 5,100mm). Height and overall width and length will vary with the body fitted on the back – another beauty of the Daily’s separate chassis construction being the variety of conversions it can easily be adapted for. 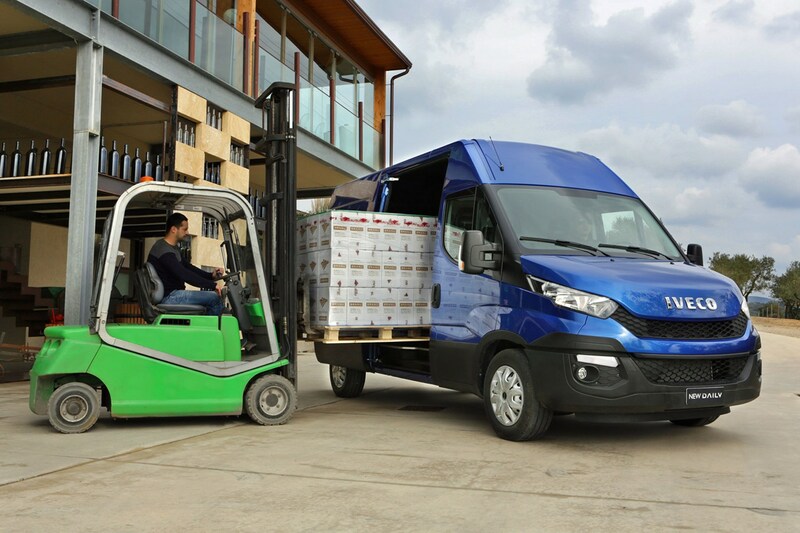 That rear step is important, because one of the downsides of the separate chassis design of the Iveco Daily is the height of the load area from the ground – and this comes despite a significant improvement in this area over the previous model. Once you make the climb you’re unlikely to be disappointed; this is an enormous van, helped by what Iveco calls the ‘load efficiency’, which is the ratio between the overall vehicle length and the length of the load area. Check out the full load area dimensions combinations in the table below. Despite innovations for this third-generation model, the Daily’s structural design that separates the chassis and the body like a truck means the basic van weighs more than most rivals. This is fine when gross vehicle weights (GVWs) go up to 7.2 tonnes, but if you’re restricted to the 3.5-tonne GVW maximum of a regular car driving licence there are plenty of other vans on the market that can carry more payload. The most any 3.5-tonne Daily variant is quoted able to carry is 1,362kg. This puts it bottom of our list of the best large 3.5t vans for payload. This figure is the pre-2019 facelift, as we're still waiting for Iveco to confirm any diffrerence in the basic van's weight, following the changes to electric power steering assistance, and so forth. The Daily is also available in 3.3-tonne, 4.2-tonne, 4.5-5.0-tonne, 6.0-6.5-tonnne and 7.0-tonne GVW variants, however, so it offers plenty of flexibility if you've got a suitable driving licence. All diesel versions of the Iveco Daily are able to tow 3.5 tonnes (3,500kg), thanks in no small part to the separate chassis design. This makes it our top choice of all vans for towing, even if it does lack some of the fancy electronic aids now available on the latest rivals. 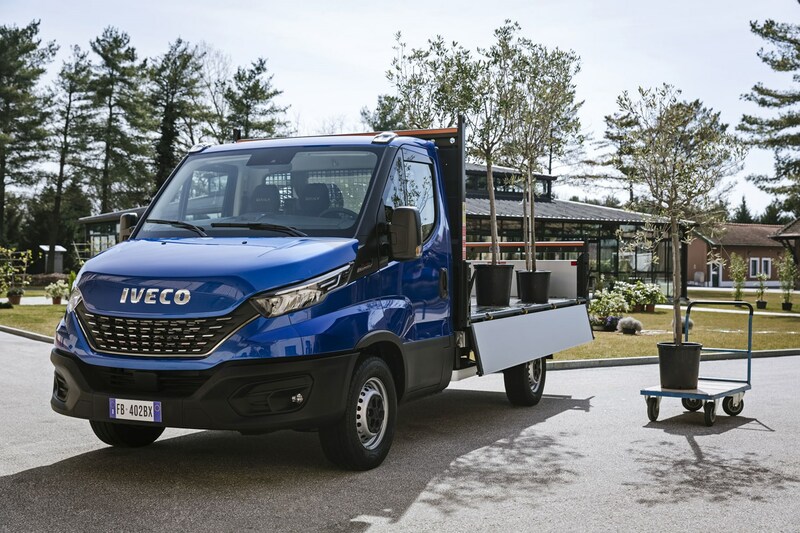 Both the Iveco Daily Natural Power, which is fuelled by compressed natural gas (CNG), and the Iveco Daily Electric weigh more than their conventional diesel equivalents. This has an impact on payload. Particularly in the case of the Daily Electric, which is available with up to three battery packs; the amount of battery capacity you choose will significantly alter the amount of payload you can carry. Iveco has long been arguing for a ‘derogation’ of the 3.5-tonne GVW limitation on the standard car driving licence for this reason. In 2018 the UK government finally agreed this was a good idea, and raised the GVW for alternative fuel vans to 4.25 tonnes, improving their practicality.